School in Chibok, Borno State, two years ago. negotiations brokered by the Swiss Government and the International Committee of the Red Cross. to set free more of the girls. cause to celebrate soon enough”. that a swap deal with the insurgents is on the cards. 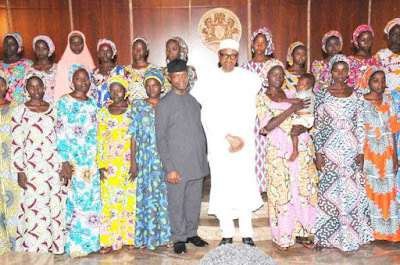 Haram is using these girls as bargaining chips. use them as human shields and we could lose some of the girls. for 84 Chibok girls”, offered the top security source. all the girls will return home soon enough. all. We have practically decimated and degraded the sect and they know this”. after the first batch of 21 made their way out of Boko Haram custody. 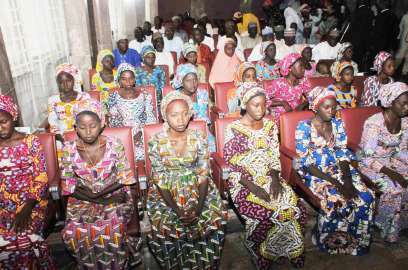 the issue of the Chibok girls,” Mohammed had said. way out of Sambisa forest. back channels have maintained that there was indeed a swap.